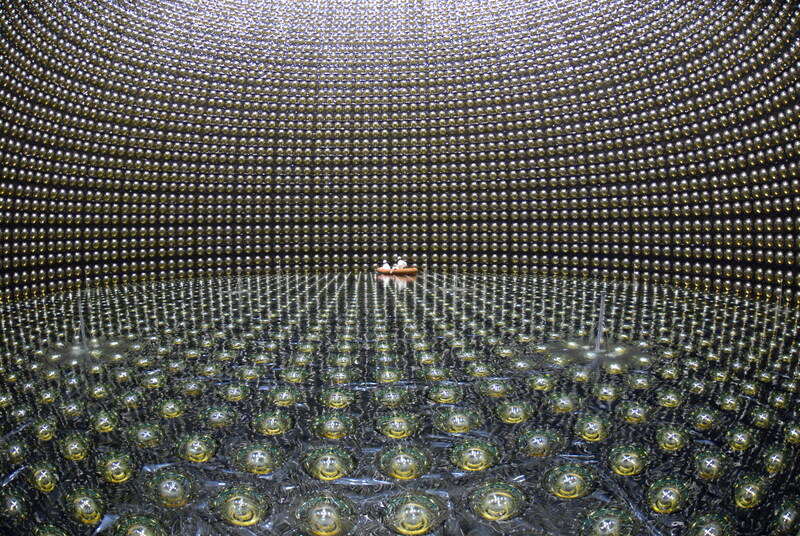 Super-Kamiokande (Super-K)is a massive tank containing 50,000 tonnes of ultra pure water – that’s over 33 Olympic sized swimming pools! There are around 11,146 electronic eyes looking into the water hoping to see feint flashes of light. The light comes from charged particles such as electron, which are produced when a neutrino interacts with the nucleus of an atom in the water. The light forms great circle ring patterns on the side walls of Super-K and from the pattern you can gauge the energy and type of charged particle and therefore deduce the same for the neutrino that produced it. 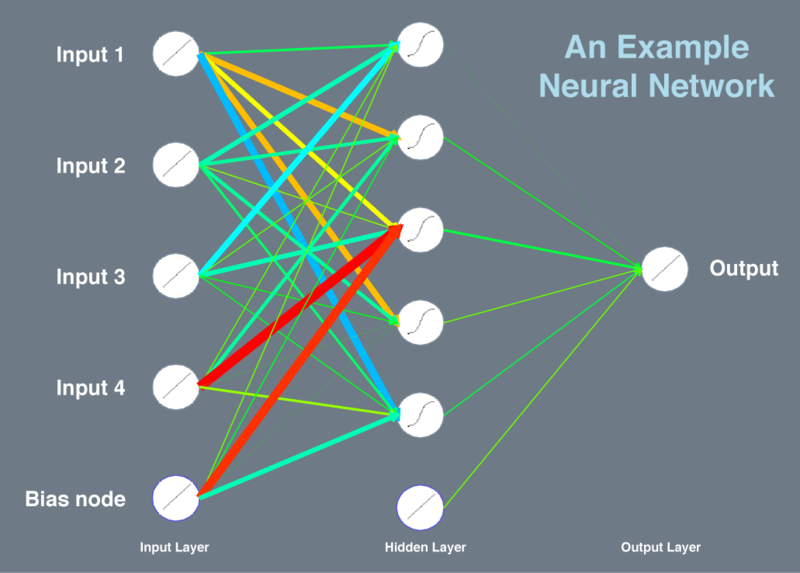 I conducted research into methods of selecting electron-like neutrinos using a neural network. Neural networks produced more complex, non-linear cuts upon numbers which define each neutrino seen in Super-K.
For outreach related to Super-Kamiokande see Super-K Sonic Booooum! or Jiggling Atoms.